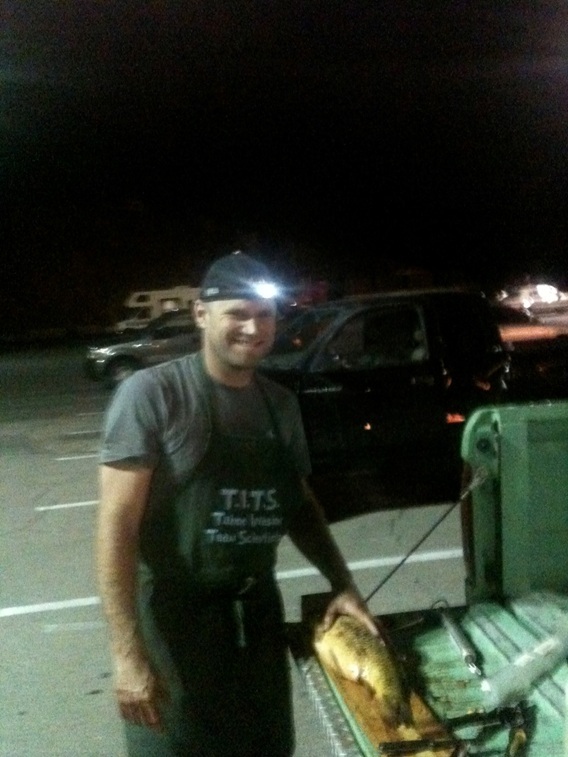 in the food web of the Lake Mead Ecosystem. 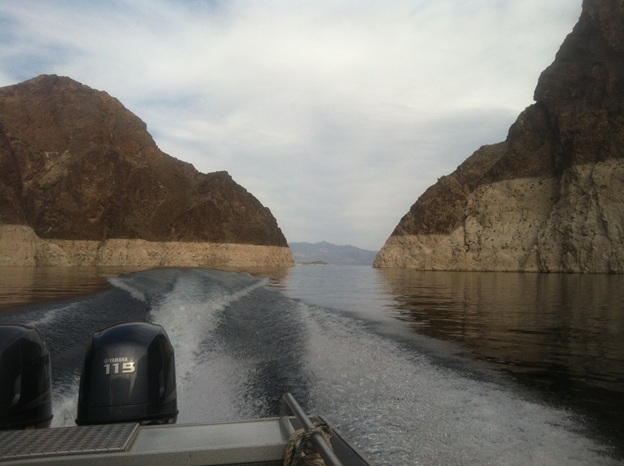 Water quality in the Lake Mead National Recreation Area, particularly Las Vegas Bay, is affected by water coming from the Las Vegas Wash, an urban perennial stream whose water is comprised of treated wastewater and urban runoff coming from the Las Vegas metropolitan area. 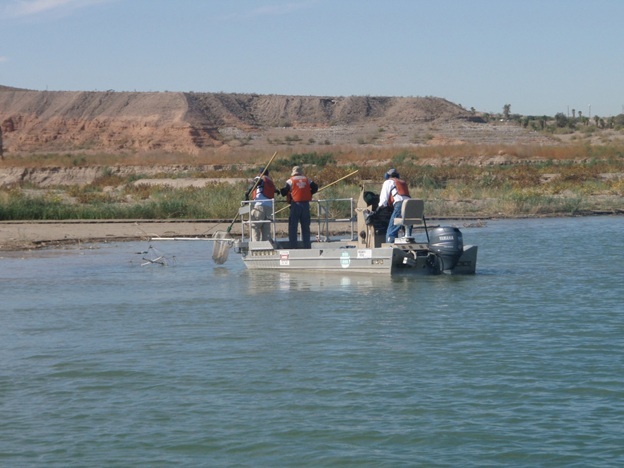 Common carp collected from Las Vegas Wash and Las Vegas Bay have impaired reproductive and endocrine health that are believed to be caused by the presence of endocrine-disrupting compounds (EDCs) in water coming from the Las Vegas Wash.. Some examples of these organic compounds are DDT (dichlorodiphenyltrichloroethane), PCBs (polychlorinated biphenyls), PBDEs (polybrominated diphenyl ethers), PAHs (polycyclic aromatic hydrocarbons), personal care products, and human pharmaceuticals. Understanding the movement of EDCs through the food web is critical in determining the effects of EDCs on all organisms including endangered species such as the razorback sucker and for making informed and effective management decisions on ways to control and mitigate sources of EDCs. The objectives of this study are to understand how EDCs bioaccumulate in aquatic organisms in LAKE. 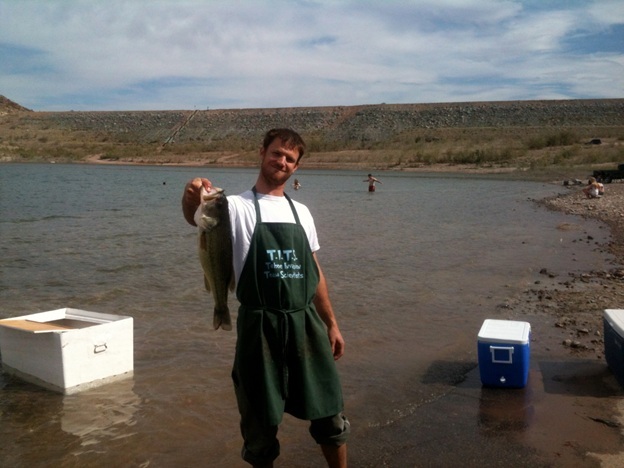 The main scientific questions to be answered include: What are trophic relationships between organisms in Lake Mead? Are EDCs bioconcentrated in aquatic organisms directly from water or are they bioaccumulated through the food web? What is the total mass bioaccumulation of EDCs between various trophic levels in the food web and are concentrations of EDCs in organisms at the top of the food web, such as razorback suckers, high enough to cause reproductive or endocrine impairment? Are EDCs incorporated into quagga mussels and how do quaggas relate to other organisms in the food web? The data from this study will help to identify sources and pathways of EDCs within the aquatic ecosystem. 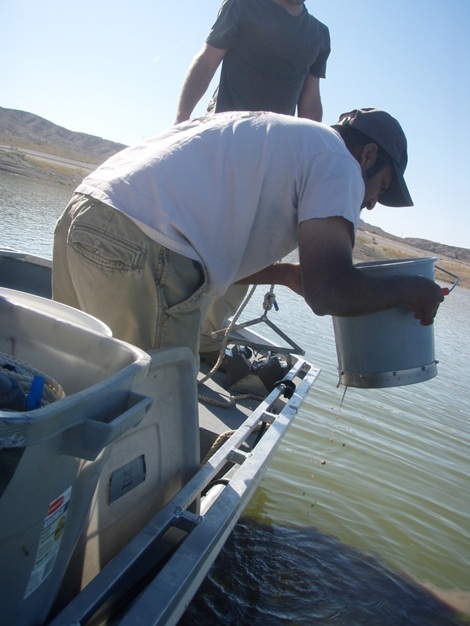 Resource managers can use the results of this study to adopt or implement strategies for control of EDC sources to Lake Mead thereby reducing the negative effects on fish and invertebrates. This information can also inform agencies on a regional and national level of the effects and implications of EDCs in the environment. In addition, understanding movement of EDCs in the food web can help design a monitoring program that can be used to show how effective EDC control efforts are in reducing reproductive and endocrine impairment. 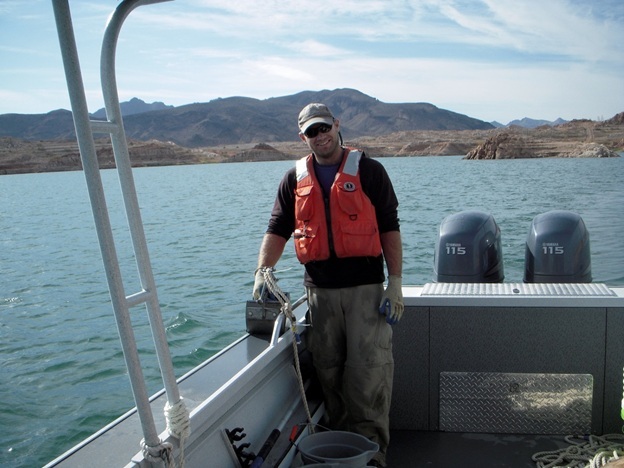 Samples of algae, benthic invertebrates, and forage fish will be collected at different depths in three sub-basins of Lake Mead and analyzed for stable isotopes (carbon/nitrogen) and EDCs. Water and sediment samples will be analyzed for EDCs and compared to uptake at various trophic levels. 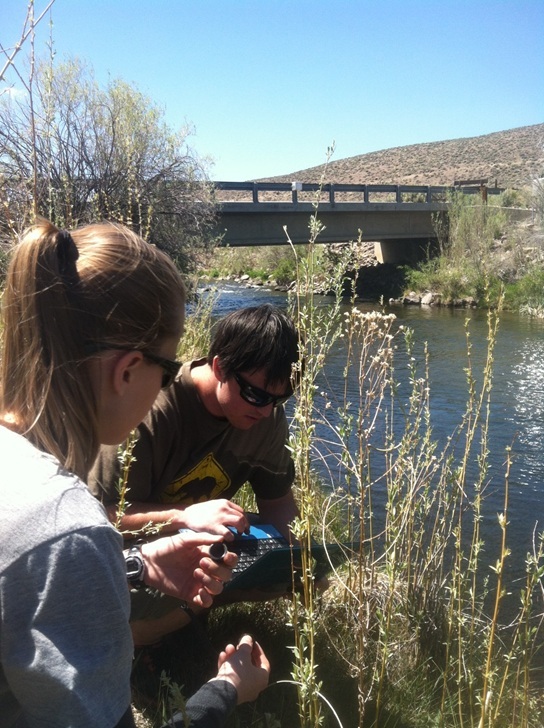 Information from these samples will be used to determine the sources of EDCs and relative contributions of sources to various aquatic organisms throughout the food web. This information will then be used to evaluate the potential risk of organisms to EDCs, especially endangered species like the razorback sucker.